This is a much better book than one would expect. It can be bought very cheaply used. A real bargain. For everyone who loves the taste and aroma of authentic, home-made curry, this wide-ranging cookbook is packed with simple and delicious recipes for different curries from around the world. Whether you prefer the tangy taste of Lemongrass Chicken Curry, the smells of Aromatic Pork Belly Curry or the spices of Red Beef Curry with Bamboo Shoots, every palate is catered for. 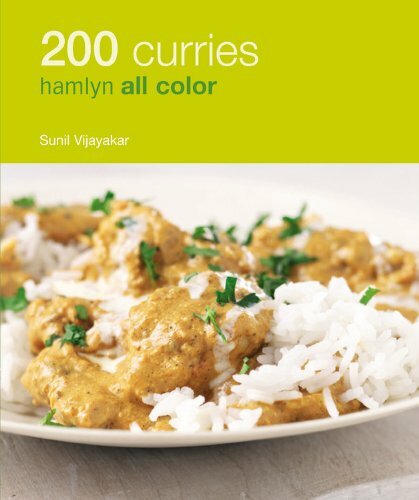 With full-page color photography for each recipe and clever variations and new ideas to give you over 200 meals to choose from, 200 Curries ensures no end to your experience of these exotic flavors.